SEO, or Search Engine Optimisation, is a fantastic way to get your website in front of your audience. Google, is the go to resource for any query, whether that be where to buy a certain product, who the best plumber around town is, or simply to order a takeaway. Although there are competing Search Engines, such as Bing and Yahoo, Google is the primary resource for just about anything, with more than 40,000 search queries processed every second with Google. SEO can help you to get your website in front of users who are searching on Google. By organically optimising your website you can expect a snippet of one of your website page’s title tag and meta description to display in Google’s Search Results in a similar format to AdWords, although you don’t have to pay Google to be there. An example of a website’s organic search engine result. You might be asking, what is SEO and what’s the purpose of SEO? Well, Search Engine Optimisation is the practise of optimising your website to organically rank better on Google’s search engine results pages (SERPs). There are plenty of different ways to improve your ranking on Google, but usually the optimisation effects take some time before true results are shown, unlike AdWords where you can see an instant return on investment. Lots of businesses can benefit from SEO, as many people go online to search for products and services. Especially if you are trying to improve your online presence, SEO might be the best direction for you and your business. The initial plan of action for any SEO campaign should be to make sure that you’re on page optimisation is up to scratch. This will involve optimising your website’s pages’ content and meta data with the keywords you would like to target. On page optimisation could also include internal linking, which involves building links across the website, as well as optimising the code or structure of your website, although this may also fall under the “Technical Optimisation” category. Offsite optimisation could involve building backlinks to your website (essentially just other websites which have a link back to yours) or optimising directories with your Name Address, Website and Phone Number, which can also be beneficial for your onsite optimisation. Social signals are another element of your offsite optimisation which can help to improve your organic search engine rankings. SEO can get incredibly technical, and as part of your Technical Optimisation you should be looking into areas such as website crawling, status codes, and redirection. Technical optimisation often has the largest potential for something to go wrong. Finally, an important part of the optimisation process, particularly if you only operate in a certain area, is your local optimisation. 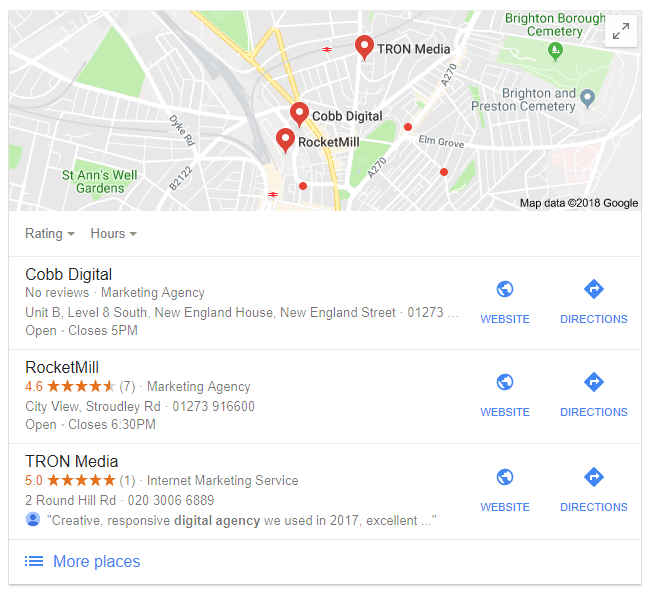 Local optimisation will involve making sure that you are visible across various different local keywords, not just in the typical search engine results, but also within Google’s map pack. Local Optimisation will involve optimising the site for local keyword terms, as well as optimising your online citations. An example of Google’s local 3 map pack. Why are Search Engine Rankings So Important? Search engine rankings are important for any business. It gives you an opportunity to have a presence on Google among your competitors, and will also help to drive business. SEO can also help to build awareness around your brand or business, thanks to the volume of people searching on Google. Gaining a higher rank above your competitors can be just as effective as physical marketing against your competitors. This is because people are more likely to click on a website that is higher up in the search engine rankings rather than further down. If your competitors are above you, they could be winning business over you. SEO and digital marketing can drastically decrease the odds of this happening to your business, helping you to make the most out of online. What an Increase in Website Traffic would mean for your Business? The increase in traffic which will come with optimising your website for Google will help to drive business, particularly if your keywords are well targeted. An increase in traffic, along with a steady conversion rate is a guaranteed way of increasing business. Improved website rankings will help to improve your visibility, which in turn can help with brand awareness and of course, drive business. Better local visibility will help you to rank among your competitors and be found within the local area, making sure that you are making a name for yourself in your town or city. 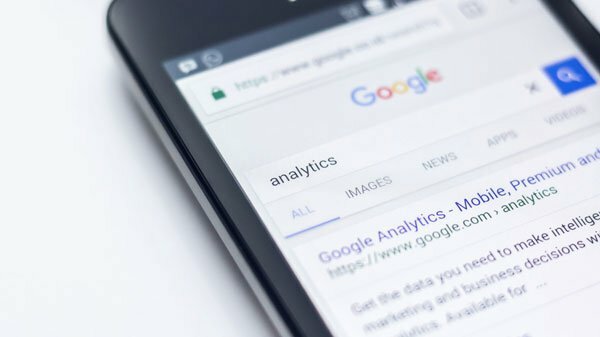 Why can’t I do my own SEO? Doing SEO by yourself can be very time consuming, since there is a lot of work, analysis and maintenance that goes into keeping a website as best optimised as possible. Time is money, and most business owners need to allocate time appropriately. Paying a specialist to complete a job they are good at, vs, using your own valuable time, can help to maximise your return on investment. There can also be detrimental effects to your online visibility if you don’t know what you are doing. You can cause more harm than good in some scenarios, if you don’t fully understand the impact of your changes. Furthermore, SEO agencies and companies have access to resources that will help to track and maintain your website’s performance. Resources that an individual would be unlikely to have access to. SEO agencies may have web developers on site that can address any problems with the websites functioning. SEO Specialists will keep up to date with the latest changes in Google’s algorithms and the different tools that can help assist with optimising your site better, helping you to achieve the best results possible. How SEO will benefit you? There is only one end goal when it comes to SEO, and that’s to improve visibility, which will ultimately lead to an increase in business when reaching the correct audience. By optimising your website to perform well in search engines, you can ensure that your customers will find you when searching for a product/service you offer. Search engine optimisation will ensure that you are right in front of your customers when they need you. As part of our SEO management here at TRON Media, we will also look into your website’s engagement and conversion rate, and best advise on how to maximise both, ensuring as many conversions as possible for your business, helping to maximise income. Who can I contact to handle my SEO? previous post: Google’s Tracking Ability — Is It Cool or Scary?